The Ngaio Marsh Awards, in association with the New Zealand Book Council and Westland District Libraries, invites West Coast booklovers to an event featuring three talented New Zealand crime writers. 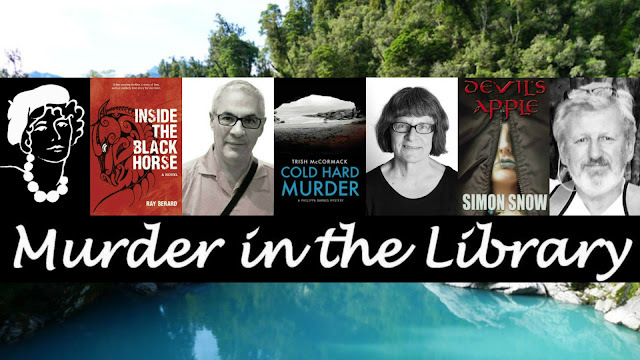 2016 Ngaio Marsh Awards winner Ray Berard (INSIDE THE BLACK HORSE) is joined by 2016 longlistee Trish McCormack (COLD HARD MURDER) and acclaimed crime writer Simon Snow (DEVIL'S APPLE) to discuss how they create compelling characters, craft page-turning plotlines, and why they've chosen to set their exciting tales among wilderness areas and small towns. Free event. There will be light refreshments available before and after the author panel. Local bookshop Take Note will be at the event, selling copies of the authors' books, which attendees will be able to get personally signed by the authors following the author panel.